During the holidays, it's the best time to pull out the classic plaid pieces. 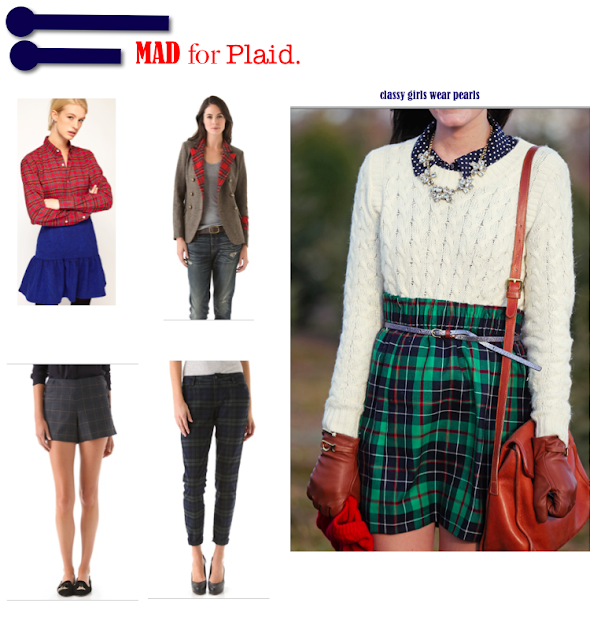 Plaid looks preppy, and in my opinion, it can make any look 100 times better. The festive print can be dressed up with a sequined skirt, or dressed down with boyfriend jeans and smoking slippers (like these) I love how Sarah from Classy Girls Wear Pearls wears her plaid. Perfectly preppy!